Security Lapse? Valdosta Convenience Store Shooting leaves 1 injured. Did negligent security contribute to this shooting injury and are justice and compensation available to the victim? 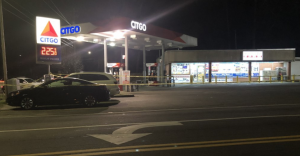 Gunfire erupted Thursday evening, February 7, 2019 outside a Valdosta convenience store leaving one victim injured, according to media reports. According to WCTV.tv, “It happened at the Khushi Food Mart on the corner of Northside Drive and Forrest Street. Store owners said they thought people were just outside talking loudly, until they heart gun shots.” WALB.com is reporting that “several people were fighting in the parking lot…when someone pulled a gun.” The report goes on to say that “[t]he victim was shot multiple times in the torso and rushed to South Georgia Medical Center.” The victim “is in critical condition” according to WALB.com. A suspect has been arrested according to WCTV.tv. Convenience store and gas station patrons have a right to feel safe and secure while on the premises. The Murray Law Firm questions the level of security provided at the gas station and whether this tragedy may have been prevented. Were police called at the start of the disturbance in the parking lot? Generally, property owners are required to protect all those legally on the premises from any foreseeable harm. Should the facts of this matter reveal that the gas station owner failed to provide adequate security to protect those on its premises, the victim may seek justice and elect to pursue legal claims for their injury.